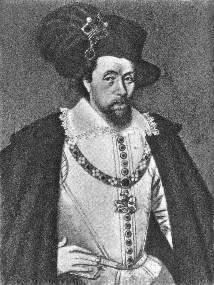 Keywords: King James I of England, history, King James VI of Scotland, James Charles Stuart, King James I, Mary Queen of Scots, King James VI, Authorized Version, 1611, James I, Jacobean, King James VI & I, King James Version, biography of King James I, King James Bible, life of King James I, KJV, KJB, House of Stuart, VI, I. Why is King James called VI & I? Transcription of the Gunpowder Plot Trial Catholics tried to kill King James I.
Mischief Mystery; or Treason's Masterpiece, the Powder Plot A 1617 tract against the Catholic religion. The Mayflower Compact King James I was founding monarch of the first successful colonies in America. The Trial of King Charles I Extracts from his own defence. The Last Words of King Charles I The rump illegally executed King James VI & I's son/successor. Legal classification? Regicide. Heare his last words on the scaffold. Puritan Oliver Cromwell ended up dissolving parliment just as Charles had. How to Achieve Historical Justice Are the rumors enough to convict King James I? Did King James I Burn Baptists? The Royal Martyr: An Egalitarian Narrative Of The Caroline Reality "a more egalitarian historical view of the royal martyr", King Charles I. Answers Puritanical reactionary views. Jacobean Era & Traditional Scottish Musick Lyrics and music! Renaissance musick by The Internet Renaissance Band Great midis! They also have medieval music, carols and original compositions. Bookes two and three of Basilicon Doron. Other theological and political writings. Defender of the Faith, and Renowned Christian King. who provided the inspiration for this page. accordinge to ye ole WebCounter.